CHARLOTTE, N.C., April 12, 2018	(Newswire.com) - Top boutique recruiting firm Millennium Search LLC helped high-growth startups kick off their 2018 Q1 with premier talent to lead product, marketing and sales teams. Clients partnered with Millennium Search because of their success rate finding the right talent for roles in-house domestically, located remotely and requiring international relocation. 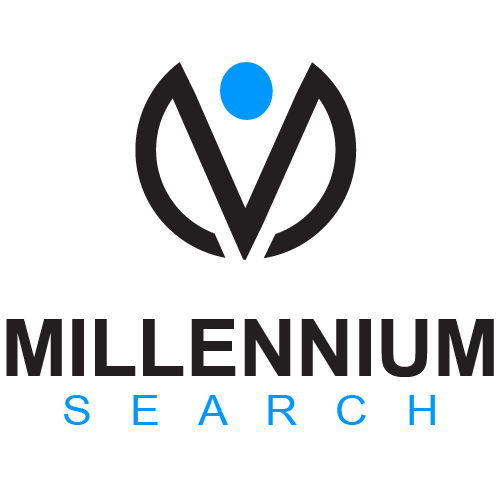 Millennium Search has a strong team of agile and experienced recruiters with exceptional sourcing skills within passive candidate networks. This positions the firm ideally as a recruiting partner for securely backed startups in expansion mode that do not have any time to waste filling leadership roles that will guide future growth of teams and product. Two European-based, early-stage companies with secured financial backing have retained Millennium Search to deliver their first key U.S. hires to expand their presence abroad. A real estate tech firm is using Millennium Search for their #1 U.S. hire tasked with leading their U.S. sales. Concurrently, a cloud-based core banking platform counts on Millennium Search to add hires #3 and #4 to their U.S. leadership team in the roles of major account manager and lead architect. Because of the retained search approach, Millennium Search can provide a fuller focus and added resources allowing these European companies to prioritize their U.S. expansion with the right key leaders in place. Millennium Search was able to evaluate the Bay Area landscape and deliver the right candidate with both the qualifications and desire to relocate to Sydney, Australia, within three months, bringing their in-depth knowledge of the advertising and marketing technologies and strong product management foundation to lead the product management team to the next level for one of the fastest-growing global performance marketing businesses. From the Bay Area to New York City, companies producing technology that revolutionizes the internet services landscape have used Millennium Search to hire product innovators necessary to prioritize and develop product and solution positioning, reinforce core messaging and evolve roadmaps for key app features. Two such companies experienced success with Millennium Search in Q1, enabling them to advance their analytics, machine lLearning and AI, APIs and apps into the global e-commerce communities. Millennium Search has continued their search partnership to further build out one company’s product team by engaging in new efforts filling both a VP data products and a senior consumer products manager role. The Millennium Search team’s impressive track record has led clients experiencing their first placement to engage their services for the long term as they continue with an eye towards growth deep into 2018. A Houston software company providing integrating compliance solutions has benefited from multiple hires delivered by the Millennium Search recruiting team for technical product managers that previous firms were unable to fulfill. The broad candidate network that Millennium Search is able to tap into is the reason another Texas-based, private equity-backed, SaaS solutions provider has filled several senior pre-sales engineer roles already this year. With candidate relationships cultivated across multiple decades, the Millennium Search network engages more talent, more quickly. Industries across all sectors recognize the vital need for premier sales talent. Millennium Search specializes in filling roles for sales candidates that can be based anywhere within the country, given the depth of its network. Searches kicked off for Q2 include technical pre-sales/solutions architects and account managers calling on a variety of global accounts, retail, life science, government, education and digital banking verticals. The Millennium Search approach works for emerging high-growth startups and technology companies climbing into Fortune 500 rankings as evidenced by these latest success stories. Millennium Search was established in 2003 and has become a premier executive search firm because of their trusted recruiting team of Sandy Bleich, Marc Fox, Kathy Gwozdz and Mark Cergol's combined 40-plus years of experience placing talent into the full spectrum of roles across the U.S. and abroad including C-level executives, quota-carrying sales, sales management, marketing, senior level technical/engineering, pre- and post-sales, product management, business operations, UI/UX design and data/analytics.